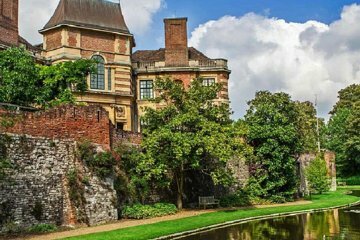 Venture to one of London’s most beautiful and unusual royal landmarks when you book a private tour to Eltham Palace. While its origins date to the medieval period, and its Great Hall is a fine example of Tudor architecture, the palace is primarily celebrated as a masterpiece of Art Deco design, thanks to its 20th-century renovation. Depart in the morning from your London hotel and travel via private vehicle; admission is included, as is an in-depth, guided tour of the palace.